You might be thinking, “National Milk Chocolate Day? Does that actually exist?” Yes, it definitely does. Today is the day when we celebrate all things made from milk chocolate, and Anderson SC has some of the perfect places in which to do so. For those that love the classic taste of milk chocolate, you can go to the Russell Stover Candies store. 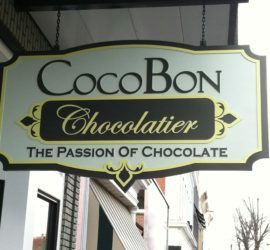 The chocolate company that everyone has known and loved for decades has their own retail stores, and Anderson is lucky enough to host one of their locations. In addition to being able to choose your own chocolate candies and build your own box, there are plenty of other items to choose from. You can get a great cup of coffee, caramel apples and incredible handmade fudge. Don’t forget their ice-cream, which is available in several delicious flavors. The Powell Group invites you to satisfy the chocoholic in you by experiencing what these stores have to offer. While there, you may also view our available houses in the area and see them on our website. Our team members are always here to answer all of your housing questions and concerns.